Comedy rules this season at The Shakespeare Theatre of New Jersey! As the New Jersey treasure devotes the new season to the best medicine in these troubled times… laughter. They deliver big-time with their five-star season opener, Molière’s masterpiece of social satire Tartuffe. This production continues the excellence at all levels that we have come to expect from Artistic Director Bonnie J. Monte and her Madison based creative team. First, one of the joys of Tartuffe, beyond Moliere’s intricate web of a plot, is the witty verse translation by Richard Wilbur. It is a delight to the ear, as the set and costumes are to the eye, oh yes…and the actors too! The STNJ is noted for its casting excellence…this presentation scores brilliantly in that department. 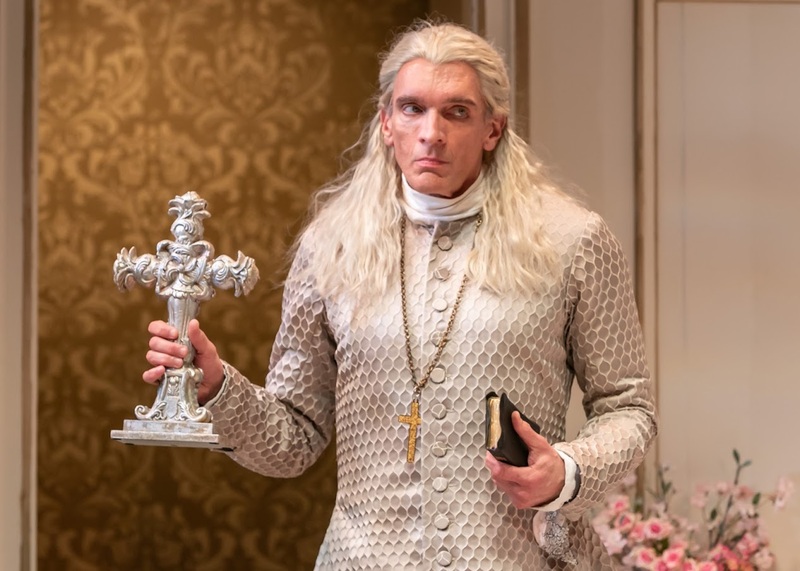 The outstanding leads are Brent Harris who plays the title role Tartuffe; He gives a powerful, memorable performance as the masterful charlatan. The combination of voice, physical size, costume, AND acting talent result in a “master class” demonstration of stage presence. Patrick Toon is wonderful as the wealthy, but hapless family head, Orgon. He is totally blinded by the hypocrisy of Tartuffe who claims moral superiority over all. “Orgon: Has all been well, these two days I’ve been gone? Orgon, may be a 17th century version of Dagwood Bumstead, a bumbler of the first order, but he has a beautiful, intelligent wife, Elmire, who to Tartuffe’s dismay, is loyal, and virtuous. Caroline Kinsolving is perfect as Elmire. Leading the supporting cast is William Studivant as the brother of Elmire (and brother-in-law of Orgon), He is the voice of reason and good sense. Naturally, he is mostly ignored by Orgon. 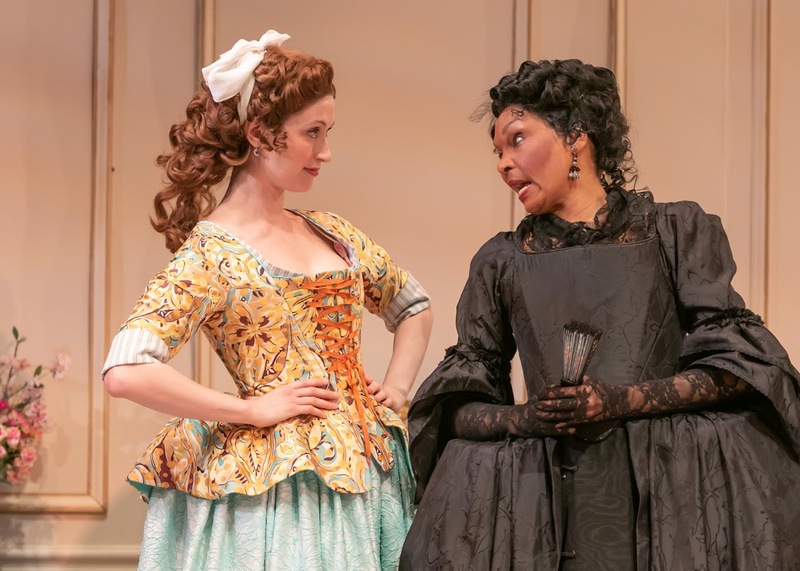 Two-time Tony Award nominee, Vivian Reed has much fun as the melodramatic grandmother, Madam Pernelle. She is also under Tartuffe’s spell. Nicely playing Elmire’s stepchildren Damis and Mariane are Aaron McDaniel and Sarah Nicole Deaver. 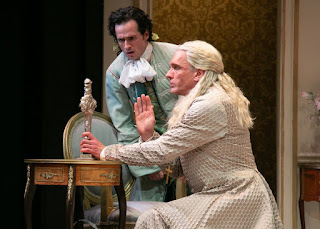 Both are aware of what a deceitful hypocrite Tartuffe really is. 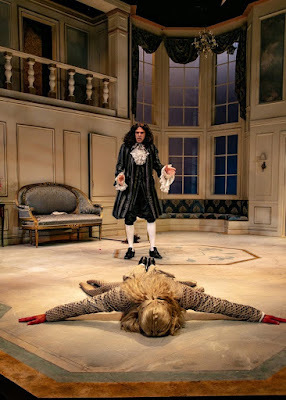 McDaniel has great fun as the hot-headed heir who faces disinheritance for his resistance to Tartuffe. 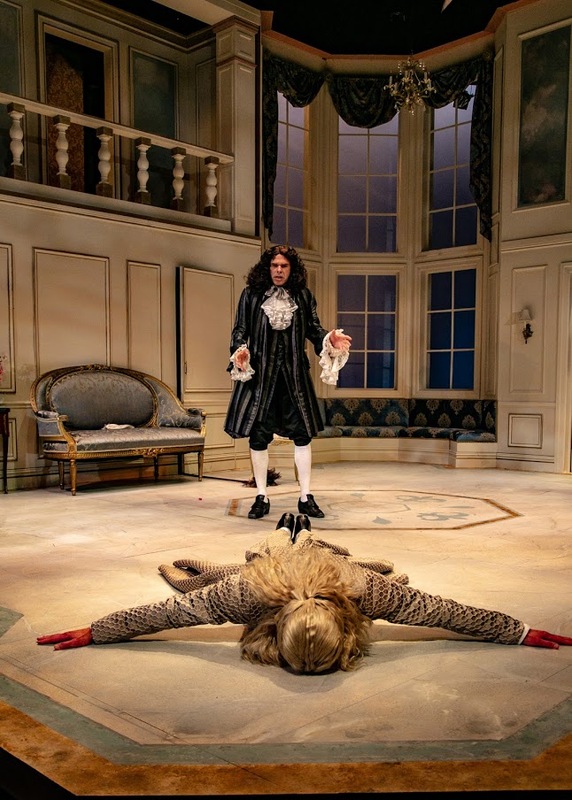 Sarah Nicole Deaver’s Mariane is a joy as she protests her father’s decision that she should marry Tartuffe. Her physical resistance is one of the highlights of the play. Her heart belongs to Valerie, played with imposing style by Mark Hawkins. Will she or will she not gain her wish? (you have to ask?). 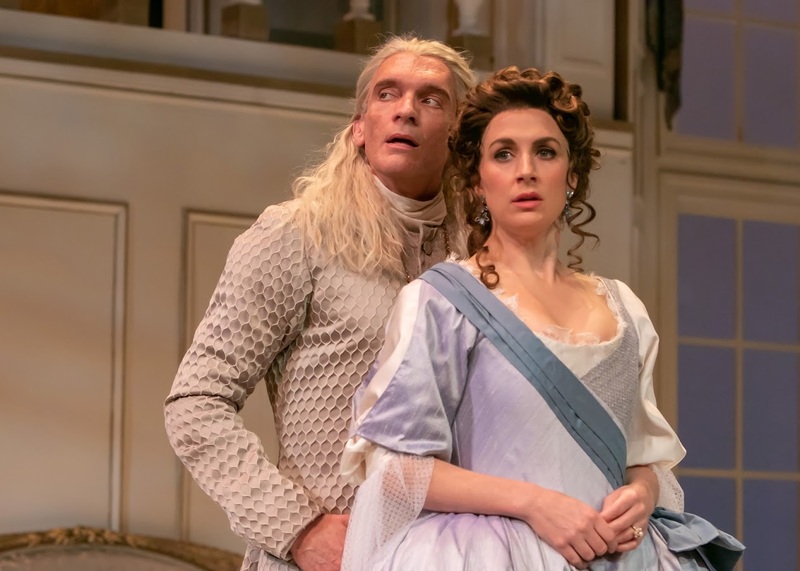 The rest of the fine cast includes: Drew Dix as Monsieur Loyal; Garrett Gray as the Officer; and Delia Bannon as Madame Pernelle’s poorly treated maid. What clever machinations bring about Tartuffe’s downfall? Answers can be seen selected evenings and afternoons at the Shakespeare Theatre of New Jersey’s gem of a theater on the campus of Drew University in Madison. This is one of the most enjoyable theater events we have experienced in the last several years. Creative credits: Bonnie J. Monte director and sound designer; Brittany Vasta scenic designer; Nikki Delhomme costume designer; Matthew J. Weisgable lighting designer; Jackie Mariani production stage manager. Purchase tickets at The F.M. Kirby Shakespeare Theatre located at 36 Madison Avenue in Madison by calling the Box Office at 973-408-5600 or by going online at www.ShakespeareNJ.org.